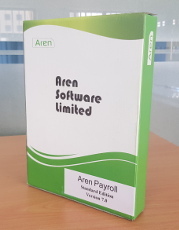 Each copy of Aren Payroll or Aren Register comes packaged in a box containing the installation CD, a comprehensive user guide and software licences. Purchasing a copy entitles you to use it on a single computer to process data for up to three organisations. No annual maintenance fee is charged.